The story that you share is so powerful…I want you to know that I will be recommending this book to every person I know, every person I meet, and any person who will listen because there is no one who would not be better off for having read your story…On behalf of everyone who reads this book, thank you so much for sharing your experiences with us. – Sent on 6/11/2013 by a young intern at University of Missouri Press who was proofreading the manuscript and was so moved by it that he sent this note to me. The story is at once very personal—we come to understand [the family’s] quirks and needs—and nearly universal, as many of us in the Baby Boom generation have been forced to deal with elderly, dying parents. The manuscript thoughtfully (though not ponderously) addresses a number of extremely important philosophical and ethical questions: What responsibilities do adult children bear for their elderly parents? What is a good death? What happens to sibling and other familial relationships in times of crisis? Beyond these questions, it also raises significant social and political issues about the paucity of adequate services for ill and elderly citizens…Above all, however, this is a story about love: not only [the author’s] undeniable and quite touching love for her sometimes difficult, sometimes charming father, but also his love for his family members. It will speak very strongly a wide range of readers. The author vividly renders the events with many well-chosen details, and the manuscript displays a terrific eye and a nice ear for dialogue. 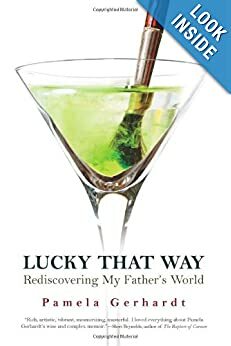 These techniques, along with a good deal of lively humor, help to brighten what could be a depressing story… Written in a crisp, engaging style the story welcomes the reader and sustains an honest, intimate voice almost without fail. – Review from a reader at University of Missouri Press. This was his recommendation that the book be published. –So enjoyed your article – so timely for me with an 82-year-old mother. The piece flowed so easily, and I chuckled out loud more than a few times. I am sorry for your loss- but I know you are happy that you had those moments together with your dad. Sounds like he was quite a character. –Your article was the best I have read in a while. You had me with the paragraph about the female problem. Where was the bar? … Even I (not an artist) can tell how ugly the nursing homes are with the turquoise and maroon paisley. Why do the decorators for geezer-dwellings (and dentists) think ugly art is soothing? I shall keep thinking of He-hab and of you all laughing. –I started reading your article about your father’s recovery from a Fitness Professional’s point of view. I continued to read as the human angle, and the pathos of the situation gripped me. And I am now doing something I’ve never done before – writing to the author of an article. —Your article brought me to tears with memories…Thank you for your heartfelt article. It brought back so much of the happiness despite the pain. –I have just read your moving story of a family touched by stroke…I was also fascinated in the clinical remarks you made. I am presently teaching Art to brain-injured adults and am experiencing a whole new world of expression. Basically, what can happen is, after stroke there are students who never drew or painted that suddenly have not only interest but actual skill in drawing! The neuro has been explained to me. As the brain recovers there are astonishing leaps of improvement in the first few months, etc. Parts of the brain are stimulated, or connected, that were not dominant before. –When I read that your Father was an artist for his lifetime, still retained his critical thinking on the subject, it caught my eye at once. I am now wondering if you noticed any shift in his artistic responses….. These stroke students are the most interesting class I have ever had. I don’t usually write to authors, but your article gave me courage. Thank you. –I so enjoyed your article in the Post about your Dad….and I thought your observation about life going in curves was very insightful, I had never thought about it that way before. I thought is was like the song, ” The Circle of Life,” but in fact I think curves is closer to the truth. I am sorry to read that your Dad died in April, that is a tough loss, and I hope your brother and sister are doing ok. And I think your book about your Dad is going to be wonderful.